Integrating into a new culture is probably one of the most important and most fun parts of living abroad! It can be difficult to let go of your usual customs and traditions but, it can also be extremely rewarding! If you’re going to tackle the cuisine of a different culture then you should start off with the simplest recipe first. 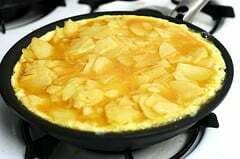 So, why not start with the ever-delicious Tortilla de Patatas (Spanish Omelette)! Tortilla is so basic, yet so good and you will find that once you have perfected the recipe you will find yourself eating it constantly! 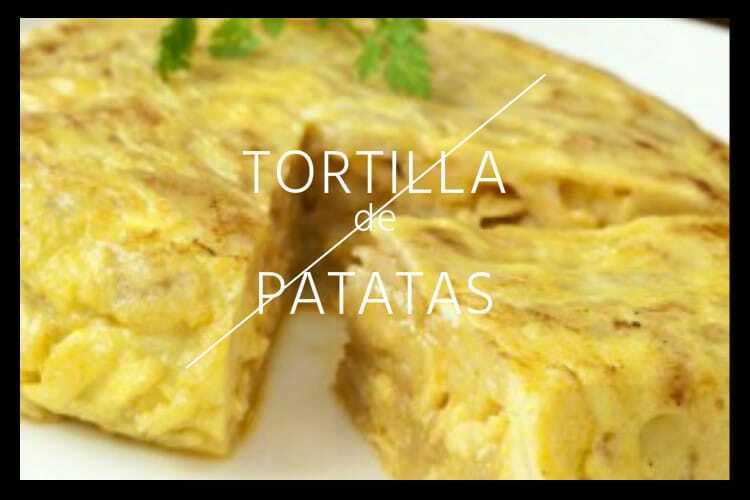 The exact history of tortilla is unknown, but like many of the foods in Spanish cuisine torilla was a food for the poor – made to feed many at a cheap price – sort of a Spanish Ratatouille really. It was first documented in Pamplona and is assumed to be a traditional dish that originated there. Chop 6-7 potatoes and 1 large onion and cook them in a large pan of oil (2-3 cups). Cook on low, until the potatoes are soft. Once the potatoes are soft, drain the oil and remove the pan with the potatoes from the heat. Crack 5-6 eggs into a bowl and mix until they are properly wisked together. Pour the potato/onion mixture in the egg mixture and stir together. Prep the pan with oil and heat on low so you do not burn the oil (or else the tortilla will stick). Gently pour the mixture into the pan and spread it out evenly over the entire pan. Important: Torilla de Patatas is meant to be soft and runny in the center. Be sure not to over cook it!! Frequently check the tortilla and flip it over once it is golden brown. To flip the tortilla simply hold up a plate beside pan and turn the pan over. The tortilla will fall on the the plate and can be placed back into the pan! Additional Tips: Don’t be afraid to add your own personal twist to this dish! This recipe is extremely adaptable and you can literally add ANYTHING you’d like to the mixture. From spinach and jamon, to cheese and mushrooms. Go crazy!